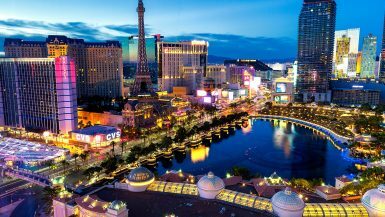 If you love Las Vegas, you need to stop what you’re doing and go to Hotwire.com right now! 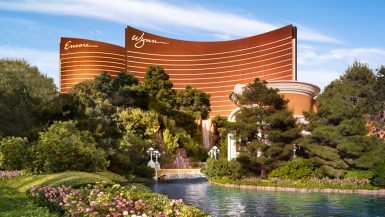 The team at Hotwire.com just kicked off their Million Dollar Sale, and starting at 2:30 p.m. MST on Wednesday, November 15th you can book 5-star Las Vegas hotels for only $50! The catch? You just don’t know which hotel you’ll score! As an avid Vegas lover ( I travel there 10+ times a year) this sale was basically calling my name. And so, mystery booking it was! The deal is valid for their partnering 5-star hotels when you travel December 8th through December 28th, and you do have a max of two nights. I plugged in Saturday, December 9th – 10th and off I went! First of all, I need to address that I’m *very* picky about where I stay in Vegas. 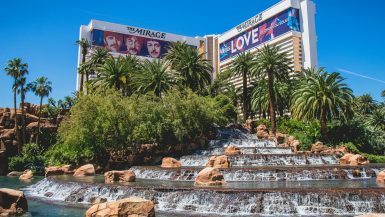 My favorite hotels are the Cosmo and Mirage, and I’ll hardly stay anywhere else. In a town where location is key, as nice as the Marriott is – if it’s 20 minutes away from the Strip, I won’t do it. To my surprise, the mystery hotels were all center strip, with a 90% approval rating, free internet AND a view of the fountains! With this knowledge, I knew I was going to get a City Center hotel, Bellagio, Cosmo, or Caesars Palace room. For $50 a night – I was ready to book! Hotwire does a great job at teasing you about what you’re about to book. There is a bit of a science to figuring out what hotel you’re about to book, but this one had me completely stumped. 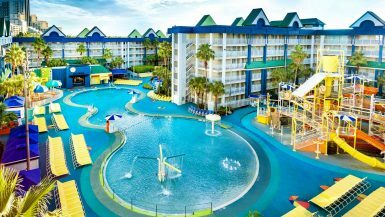 The $44 resort fee was quite disappointing – as this is meant to be the $50 sale, and now I’m realizing that it will be $94+tax, but they had me hooked at this point. I clicked ‘Book Now’ and then the waiting began to see which 5-star hotel I was assigned to. 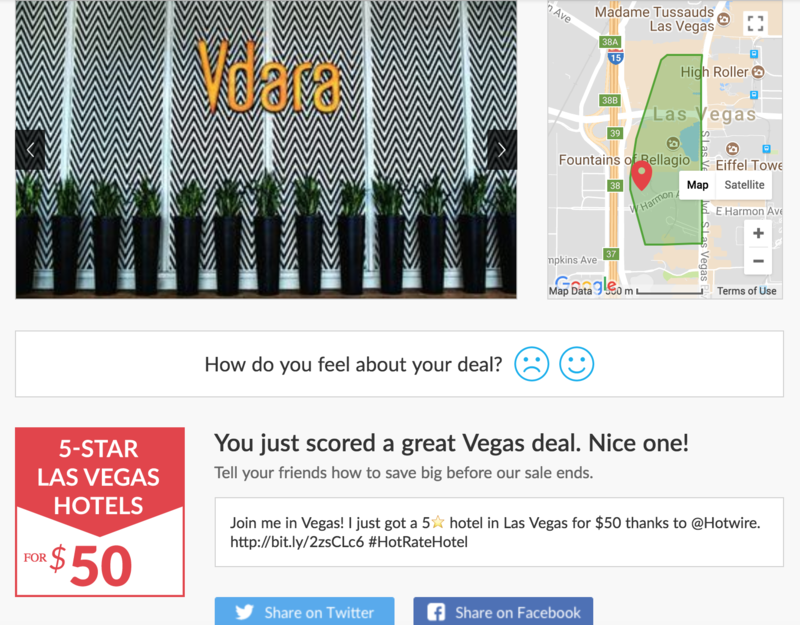 So what did I land in Hotwire.com’s $50 5-Star hotel deal? Now let me just say, I was instantly impressed! 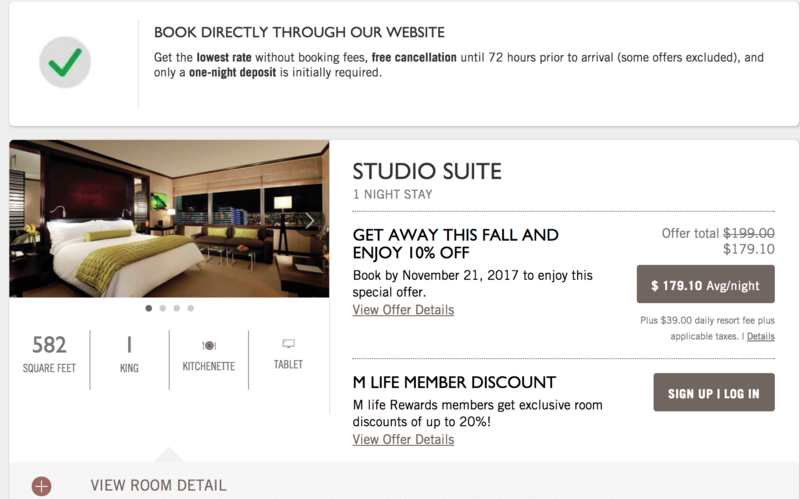 I was on Vdara’s website and rooms start at $179.10 per night + the resort fee for the same evening. After all this is a Saturday night. This meant I had a savings of $129.10! I couldn’t believe it. A king bed. A kitchenette. FREE internet! And for a fraction of the cost! 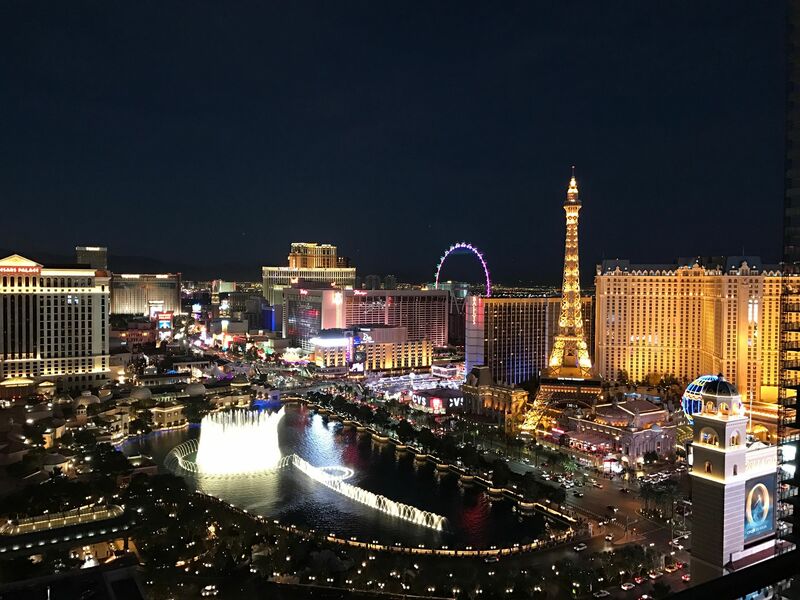 For my first time using Hotwire.com’s mystery booking for Vegas, I was impressed! 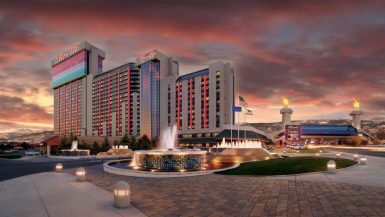 If you’re interested in taking a gamble with this deal and seeing which hotel you book, it’s worth noting that this sale is only available for a limited time. Hurry and visit Hotwire.com! *This article was not sponsored in any way. We’re just that excited about our deal.